Deloitte is the world's leading professional services network with US$34.2 billion in revenues and over 210,000 professionals spanning across more than 150 countries. Deloitte and its member firms provide audit, tax, consulting, and financial advisory services to public and private clients across a wide spectrum of industries; all committed to setting the standard of excellence. We serve 82% of the Global Fortune 500 companies, the world’s top-notch organisations. 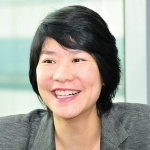 Deloitte Malaysia is a member of the Deloitte Southeast Asia network. Comprises over 270 partners and over 6,600 professionals in 24 office locations all over the region. We support a vibrant and dynamic workforce of 1,600 employees and over 90 partners and directors operating from eight locations around the country. At Deloitte, we are unified by a collaborative culture that fosters integrity, outstanding value to markets and clients, commitment to each other, and strength from cultural diversity. We enjoy an environment of continuous learning, challenging experiences, and enriching career opportunities. Deloitte runs two of the most challenging competitions for undergraduates. The Deloitte Tax Challenge and Risk Intelligence Challenge Trophy are annual competitions that have benefitted many students throughout the years. It brings out the best talents amongst undergraduates, where they are tested in knowledge, creativity and soft skills to prepare them in the professional working world. As one of the top graduate employers of choice recognised by Malaysia's 100 leading Graduate Employers Awards 2014, we encourage work-life balance in ensuring career success and satisfaction, and strive to promote this in our work culture.From working with the world’s biggest companies to international assignments and volunteering in community projects to playing sports; at Deloitte – you can define who you are and how you want your career to be. 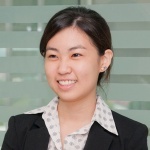 Yap Joyee studied at Institute of Chartered Accountants in England and Wales (ICAEW). Gaurav Khanijow stdied Accounting & Finance and then completed BA (Hons) in Accounting & Finance at University of the West of England, UK. Ang Weina completed Bachelor in Accounting, National University of Singapore (NUS). Ang is also a member of Chartered Accountant of Singapore, Chartered Accountant of Malaysia, Fellow of Certified Practicing Accountants Australia, ACTIM certified. 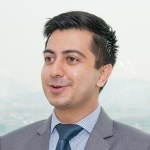 Gaurav Khanijow, Consultant, Enterprise Risk Services at Deloitte Malaysia tells gradmalaysia.com readers what it's like to be in his shoes!